Four men armed with scissors, a baseball bat and screwdriver are being hunted by police after robbing a village house. 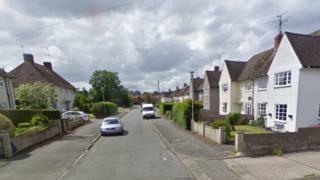 The group, who covered their faces with hoods, broke into the Bourne Road property in Pangbourne, Berkshire, at 23:15 BST on Friday. They then forced the home's occupants to hand over a "quantity of cash", police said. Thames Valley Police launched a witness appeal on Monday. The force, which described the incident as "frightening" for the occupants, said no injuries were sustained.